Currently browsing posts filed under "Princess Eugenie"
Thanks to Jeff for pointing toward this article from the Daily Mirror. Princess Eugenie made another solo foray into her royal duties yesterday as she attended a function at Chelsea’s Stamford Bridge ground along with club star Frank Lampard. HRH was there to support the Hong Kong Down Syndrome Association Dragon Football Team and support her friend, businessman and socialite David Tang. Her first official royal engagment was in February last year at a cancer ward for teenagers in Leeds. Apparently, Eugenie, plans to spend some time over the summer working for her mother’s Children In Crisis charity before going to university in the autumn. The sixth in line to the throne, she’s spent a gap year doing a bit of travelling around the globe and is due to start at Williams College in Massachussetts this autumn. It’s a private college that specialises in the arts but her attendance has sparked rows about how much it would cost in royal security protection officers. 1) Was Princess Eugenie accepted into the class of 2013? My guess is Yes. If she had not applied and been accepted, I would wager that Williams officials would not have gone out of their way to have a private meeting with her her mom, the Duchess of York, last month. 2) Has Princess Eugenie sent in a deposit to save her place? My guess is Yes. Even if she and her family are unsure about next fall, sending in a deposit is a cheap way to keep options open. 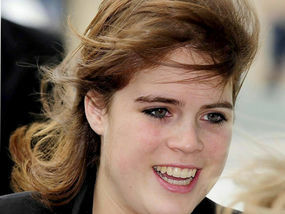 3) Will Princess Eugenie be attending Williams in the fall? I have no idea. “Due to start” seems fairly definite. Why would reporter Jody Thompson write this if it weren’t true? 4) Other articles about the event (here, here and here) don’t mention Williams. UPDATE II: Only EphBlog gives you this kind of inside scoop. At the moment, 556 members of the class of 2013 have had accounts created on the Williams network. None of them are named Eugenie. Take from that what you will. Seems like no Princess Eph. Hey guys. Greetings from London. I’m the royal correspondent on the Daily Express and I wrote the story about Eugenie thinking about studying at Williams College. I didn’t discover this website until after the story appeared so, please, no more accusations of stealing your scoop! Just to let you know, Eugenie is definitely NOT coming to Williams. She has decided she is going to study at a British university. Her mother did take a tour of your campus, as you know, and has looked at other US colleges, just as she did for her elder daughter Beatrice. But after the family thought through all the options, it’s been decided that Eugenie will study in the UK. This has come out because Scotland Yard has begun a review of the cost of providing round-the-clock bodyguards to the young royals and Buckingham Palace wanted to halt speculation about British taxpayers having to fork out for police personal protection officers to live alongside Eugenie in the US for four years. Ever get tired of trying to prove that 2 + 2 equals 4? Me too! That’s why, in our previous discussion about the almost certain acceptance of Princess Eugenie of York into the Williams College class of 2013, I quickly gave up. Proving the obvious was likely to be as productive as demonstrating — to those without the eyes to see — that famous Eph girlfriend Rielle Hunter had an affair (and baby!) with Senator John Edwards. PRINCESS EUGENIE, who is touring the world on a much-criticised “party central” gap year with two police bodyguards, may be about to add hundreds of thousands of pounds to the taxpayers’ bill. She and her family are remaining very tight-lipped about suggestions that she wants to study at a private university in the US. The daughter of Prince Andrew and Sarah Ferguson, the Duchess of York, who achieved the Royal Family’s best A-level results with two As and a B, apparently wants to study at £31,000-a-year Williams College in Williamstown, Massachusetts, according to sources there. The Daily Express has multiple “sources” in Williamstown talking about Princess Eugenie?! And EphBlog has none! This makes me very sad. More likely, they have no real sources in Williamstown. (Informed commentary on standards in the British press is welcome.) They read EphBlog. They read the story we linked to. They called up Williams. Her mother went to the liberal arts college three weeks ago to discuss sending 19-year-old Eugenie there, according to the reports. Which “reports?” I can find no other previous coverage of the Princess Eugenie-to-Williams connection other than what was published in EphBlog. (The article that Jeff found did not specify that Eugenie was the daughter considering Williams.) We broke this story! (Evidence to the contrary welcome.) How about a little love for EphBlog? By the way, if you are the Record reporter assigned to this story, then you ought to cite EphBlog. What plausible excuse do you have not to since a) We first reported the story and b) You almost certainly read about it here first. And don’t we all agree that the Record should write about this? But the choice of an American university, which could be seen as a vote of no-confidence in British education, would threaten to embroil the Royal Family in a political controversy. She already receives police protection – at a cost of £250,000 a year to taxpayers – on the insistence of her father. The gap year reportedly adds a further £100,000. A four-year course at Williams would add considerably more to taxpayers’ costs if British detectives had to stay with her. Would the British taxes go to Eugnie’s Williams education? Why is that? I assumed that the British Royal family is independently wealthy. Does Eugenie really need guards? I don’t know. But I bet those guards would receive a warm welcome from the Williams rugby team! Assume that the guards come to Williams. How would that work? One hopes that Eugenie would be able to live in a freshmen entry, but it is hard to imagine that her (male or female?) guards would live there too. Dean Dave has a lot of interesting decisions to make . . .
Eugenie has previously suggested that she wanted to study English and history of art at Bristol or Newcastle universities. A spokesman for Williams College declined to discuss Fergie’s visit on April 22. Hey! 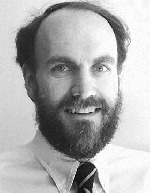 How about a little love for Jim Kolesar ’72, Director of Public Affairs? He is more than an unnamed spokesman. He is a Williams graduate and Williams parent. By the way, wouldn’t you love to have a transcript of Jim’s conversation with the reporter from the Daily Express? Must be interesting to be badgered by a member of the British press . . .
See, Jim, EphBlog isn’t so bad . . .
By the way, at what point to the members of the class of 2013 become public knowledge? The College has 550 deposits. Williams either has a check from the British Treasury or it does not. At some point, all members of the class of 2013 get a list of all their classmates, don’t they? Keep us posted! Again, as I alluded to in a comment to my own post, I do think if a member of the royal family ends up matriculating at Williams, that would be a huge story for Williams (and undoubtedly it would receive a lot of media attention beyond Ephblog). I don’t see anything wrong with noting that here. However, if and when any such celebrity starts at Williams, this blog should not become a tabloid — we should in that case leave her be to enjoy her undergrad years in as normal a fashion as possible. Exactly correct. Beyond reporting/confirming the news that she is an Eph, I, for one, won’t be writing about her activities as an undergraduate any differently than I will abiout the 549 other members of the class of 2013. Want bikini pictures or Facebook snooping? Look elsewhere. “The scuttlebutt,” Abrams explains, “is that the Duchess of York had an appointment at Williams College to discuss the prestigious school for possible placement for one of her daughters. Since she was swept off the plane and driven directly to Berkshire County, Fergie wanted to freshen-up and change her outfit before going on to her meeting. The limousine driver was instructed to stop at a local hotel to ask if a room could be made available as a courtesy for that purpose,” Abrams notes. Attentive readers will note that she is wearing purple. A princess at Williams? What will my friends in Women’s Studies say? Previous famous female Eph matriculants have included a soap opera character, an OC resident and the President’s daughter, but all of these were fictitious. Eugenie, daughter of Fergie and Prince Andrew and sixth in line to the throne, seems to have become the latest victim of computer retouching after posing for the cover of next month’s Tatler magazine. Gone is her teenage puppy fat and awkward smile – replaced with the bone structure of a supermodel. The Mirror’s health expert Dr Miriam Stoppard said: “It’s that arm that’s the giveaway because it’s the arm of an anorexic. Eugenie, who will be 18 on March 23, isn’t the first to be airbrushed by a magazine. Kate Winslet was famously made more slender by GQ in 2003. At least the princess is in right royal company then. Indeed. Photo above from Google Images. 2) JG asks about the “posting a gratuitous pic.” Well, the context here is that adding pictures to posts is a good thing. I, and other authors, should do it more often. Having decided to add a photo of Princess Eugenie, which one should I select? Given the choices available from Google, I would say that the one I choose was, at first glance, the best since a) she is wearing purple, b) it is a posed, professional, high quality photograph and c) rather than a paparazzi shot taken without her permission, the Princess must have consented to Tattler using that photo. When in doubt, I prefer to allow people to present themselves as they wish to. What criteria would critics use instead? If Fergie was under the impression that this idyllic, yet remote academic institution, would provide Eugenie with privacy, one look at EphBlog and she’d know the truth. I am not sure posting a cover photo from a magazine with a 300 year history and a current circulation of around 90,000 constitutes an invasion of privacy. I think, but would not know, that you pose for covers because you want people to look at you. Why is there a photo of the daughter posted? Because DK thinks she might be the one considering Williams? The story is fun and amusing, but posting the photo is going too far. My guess is that it is Eugenie who is considering Williams. Her elder sister Beatrice is already in college. The Princess seems to have the intellectual chops and interest in art history that would make Williams a natural fit. Since she the plan seems to have been for her to start college in the fall of 2009, she may already be a member of the class of 2013. You read it on EphBlog first. What policy would Sophmom (or anyone else) propose for posting photos? The Princess is a 19 years-old famous public figure, 6th in line to the thrown of England. She has had her photo taken literally millions of times. She posed for Tattler. If I can’t use that photo, is there any photo that I can use? Without directing this comment toward any reader in particular, let me just say that the whole discussion reminds me of the commentary surrounding the Vanity Fair photo of Erin Burnett ’98. In both cases, we have highly intelligent and attractive women who have chosen how they want to present themselves to the world. Why don’t we grant them the respect they deserve? Why attack me for posting photos that were clearly meant, by both women, to be seen far and wide? Now, of course, there is some chance that neither Burnett nor Eugenie wanted to present themselves in this fashion. Perhaps they were tricked by the photographer. Perhaps they were misled by the publication. Eugenie, after all, was only 17 at the time the cover photo was taken. Yet, I highly doubt that that’s what happened. Burnett and Eugenie have advisers and staff. They almost certainly retained veto rights over the photos. It was almost certainly a collaborative effort. We are viewing the photos that they wanted us to view. So why is everyone mad at me? Definitely check out this wild story on Fergie’s (the Dutchess, not the singer — although I am not sure which would be more surprising) visit to Williamstown. If anyone has any updates on the results of this visit, the readership of this blog would certainly love to hear them. *(I am glad I beat DK to this one, because God knows what non-sequitor finances-related rant this would prove an inspiration for). UPDATE from DK: Material formerly here has been moved to this post. EphBlog is powered by WordPress and delivered to you in 0.820 seconds using 36 queries..